This statistic shows the estimated population of the United Kingdom in mid 2017, by country. 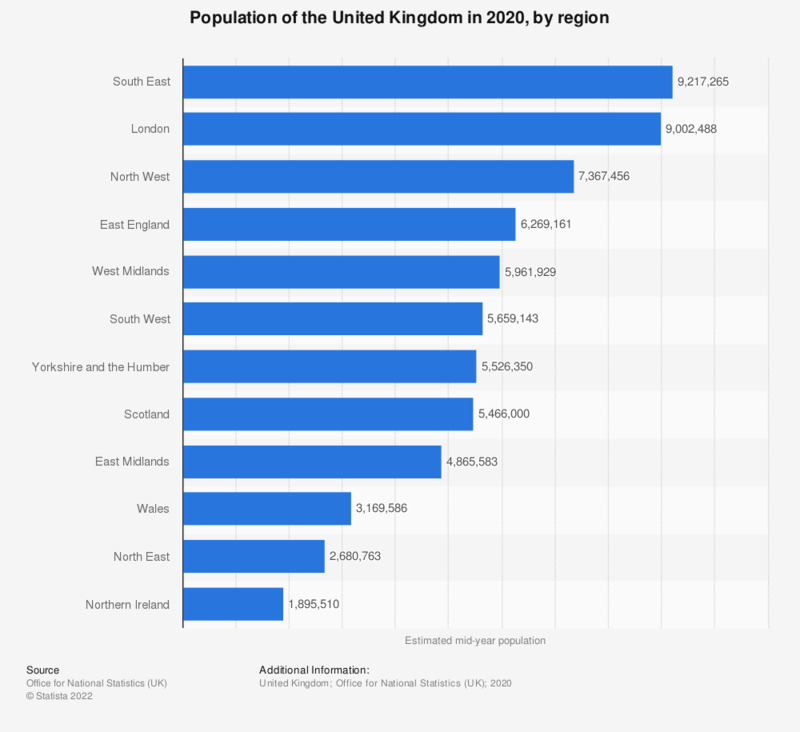 The population of the United Kingdom was estimated to have been over 66 million as of this year, with the vast majority living in England at over 55 million people. Scotland had the next highest population, with just 5.5 million people, followed by Wales at 3.1 million and finally Northern Ireland which had 1.87 million people living there in 2017.